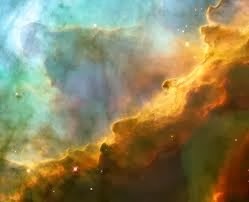 The Omega Nebula, also known as the Horseshoe or Swan Nebula. Your poem and the photo (?) are wonderful complements.